The Electoral Registration Officer (ERO) is an official appointed by the local authority to prepare and maintain the Register of Electors. The ERO for Ayrshire is Helen McPhee who was appointed by North Ayrshire Council, East Ayrshire Council and South Ayrshire Council. She is also the Assessor for the Ayrshire Valuation Joint Board. The Register of Electors contains details of everyone who has registered to vote. It is used to determine who can vote at elections while the Register is in force. A revised Register is published at least once a year, no later than 1st December. A revised version may be published at other times if, for example, major changes are made to the Register in the course of the year. The register is updated on a monthly basis to reflect changes in people’s circumstances as they occur. For example, if you move house and notify the Electoral Registration Officer of the change early in March, your name could be added to the Register on 1 April. 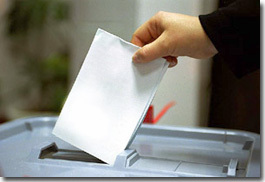 Individual Electors may make application for Registration during the year. Registration can now be done online. Applications received by the Registration Officer will then be processed as required by the legislation. It is important that Electors make their applications when moving house, for example, as early as possible after the event. The statutory time-scale may not permit the application in time for the Elector to be added to the Register in time for pending elections.